Emerald Bay Energy is focusing its efforts on its Wooden Horse Kuhn wells and partnership with HugoCellR Ltd, and continuing to develop its Nash Creek and Cottonwood Creek properties. Leased mineral rights to 91.72 acres adjacent to the Kuhn lease. Acquired a mineral lease to 134 acres adjacent to the Kuhn lease. Kuhn 3 Well: Successfully acid-stimulated in the Austin Chalk formation in August 2018 and flowed unassisted at rates over 500 bbls/day of total fluid initially. The Company is now moving forward with installing the same Moyno pumping system that has recently been installed on Kuhn 4, and it is anticipated that flow rates will be similar to Kuhn 4. As the oil cut was higher in Kuhn 3 vs Kuhn 4 prior to the acid stimulations, it is anticipated that the higher oil cut will be seen for Kuhn 3 when the well is put on production. Kuhn 4 Well: Was re-entered in the Austin Chalk formation and stimulated with acid. The well initially flowed unassisted producing over 300 bbls of fluid in the first 48 hours after the acid stimulation. With estimated flow rates of over 1,200 bbls per day of total fluid, the Company replaced the pumpjack with a Moyno progressive cavity pump capable of producing up to 2000 bbls/day total volume. As of December 4, 2018, the well was on production for 40 hours and the current flow rate was approximately 1400 bbls/day of total fluid with an oil cut of 2% representing approximately 28 bbls/day of oil. It is anticipated that flow rates will increase to 2000 bbls/day, at which point it is likely that the oil cut will increase marginally as well. Kuhn A5 Well: Successfully drilled as an Austin Chalk target. During swabbing, the well tested at 142 bbl/day of oil.The well began production in early August and produced 532 barrels of oil over the first four days of production. 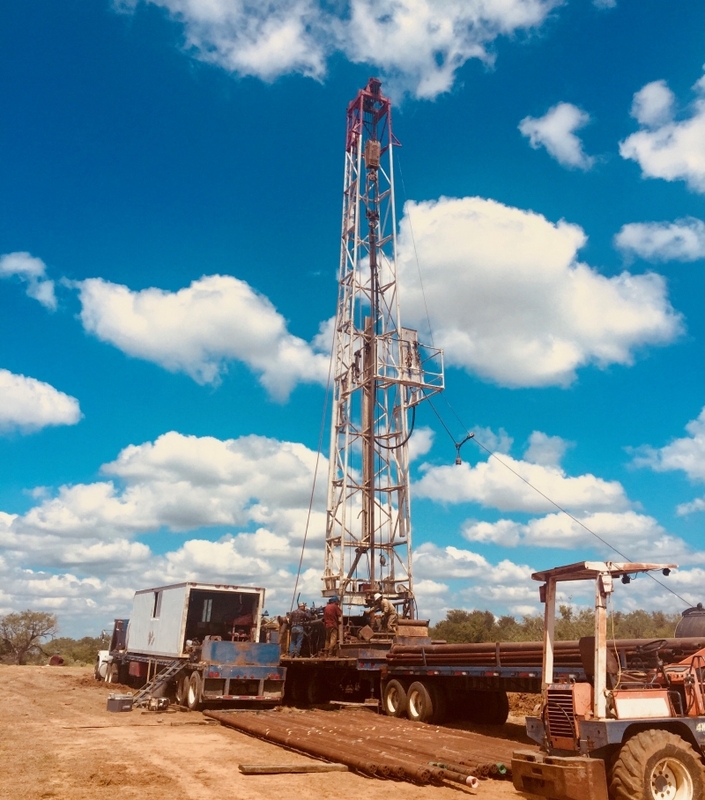 Floyd Wells #1 and #2: In August 2018, the partnership acquired the 50 acre F. Poenitz lease near LaVernia, Texas. The lease has approx. 16-20 potential drilling locations with targets in the Navarro, Olmos, Pecan Gap and Austin Chalk formations. Floyd 1 and Floyd 2 are the first two wells on the F. Poenitz lease drilled and cased by the Company. The wells are shallow Navarro wells at approx. 1000′ deep. Initially production rates for similar wells in the Navarro formation close to this lease range between 8-10 bbls/day of oil. 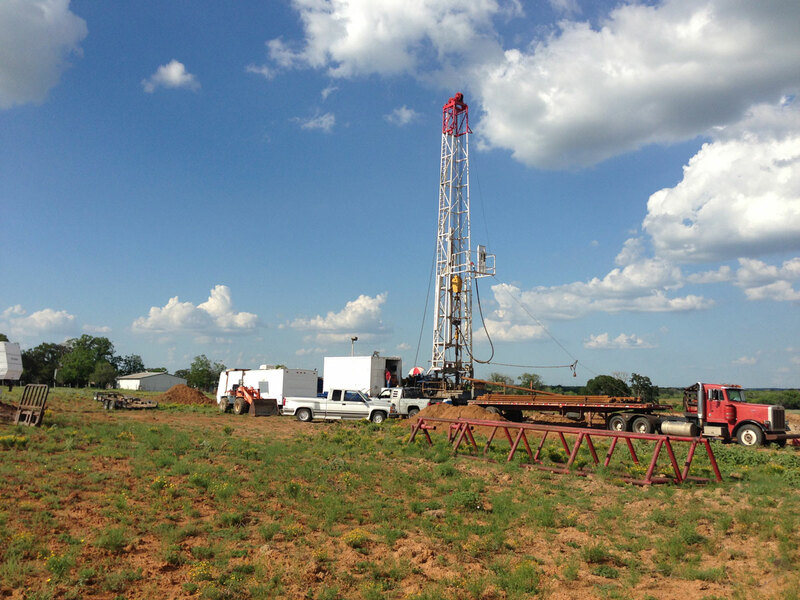 Bauer Wildcat Well: In September 2018, the partnership acquired the 300 acre Bauer lease with the intent to drill a Wildcat well. The well will target all formations including the Navarro at 1000′ deep to the base of the Sligo over 4000′ deep. Other possible hydro-carbon bearing formations include the Edwards, Eagle Ford, Pecan Gap and Austin Chalk. The well location has been surveyed and permitted. Drilling will begin in January 2019. Isabella Well #2: The Isabella prospect includes the Company’s acquisition of several mineral leases, totaling approx. 86 acres, and the Isabella 2 wellbore. 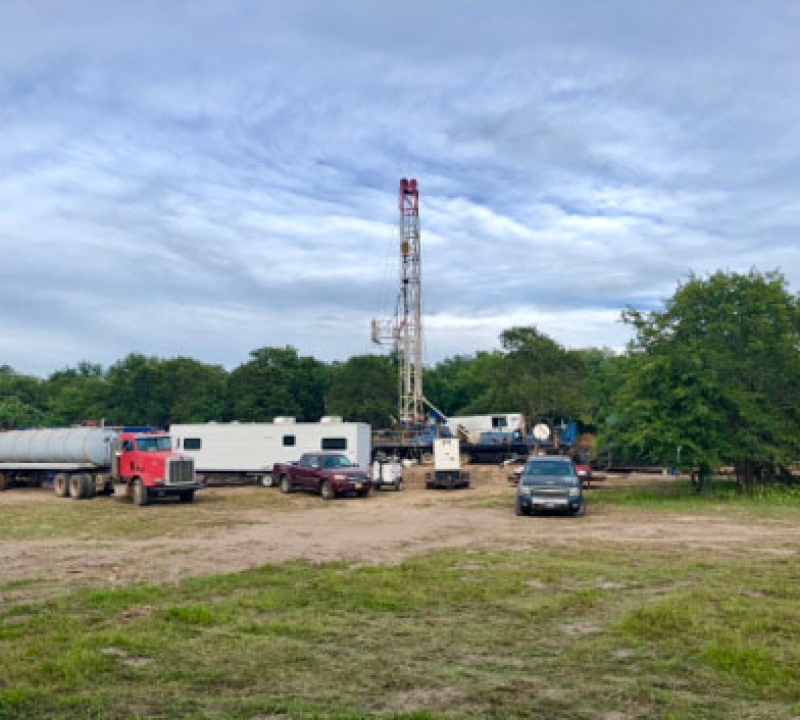 A rig has been secured to re-enter and deepen the Isabella 2 well to the previously untested Eagle Ford and Buda formations between 8000′ and 8200′ deep. Increased ownership from 27.78% to 50% W.I. The MarPat partnerships are farmouts whereby the farmees/partners pay 100% of the drilling and equipping costs for a 75% working interest in the wells. As the operator and farmor, Emerald Bay earns a 25% carried working interest in the wells. The MarPat wells have shown commercial viability in the Anacocho, Olmos, and Escondido formations. Oil production from the 16 MarPat wells will be approximately 40 bbls/day, approximately 10 bbls/day net to Emerald Bay at no cost to the Company.